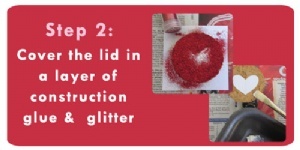 TIP: Work on a protected surface or outside as you will be working with glitter. 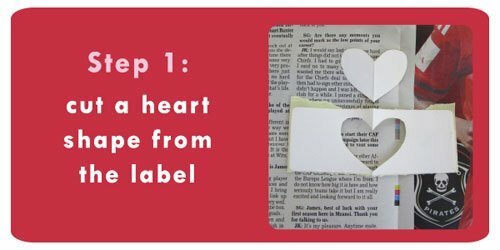 Fold a plain label in half and cut a heart shape. Stick this onto the jars lid. 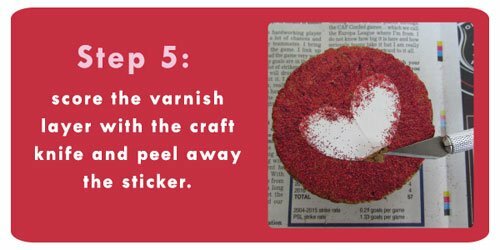 Decant some glue and use the brush to apply the glue to the area around the sticker. 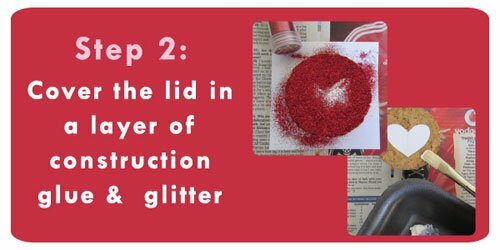 Sprinkle glitter onto the glue over a scrap piece of paper so it is easy to decant any surplus glitter back into the container. Allow this to dry completely (about 20 mins). While that dries, prepare your paper by cutting them into small notes of about 5cm x 6cm. 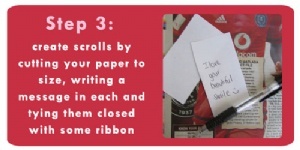 These will be rolled into little scrolls and tied with red ribbon. 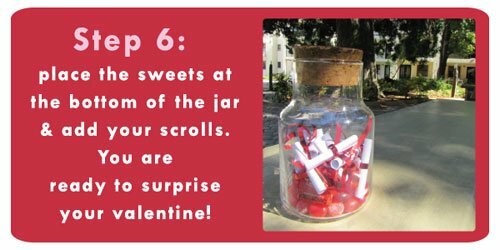 Decide on a number of scrolls - perhaps 14 for Valentines day, or a special and meaningful number to you and your valentine. Think "things I love about you", and write some heartfelt compliments. 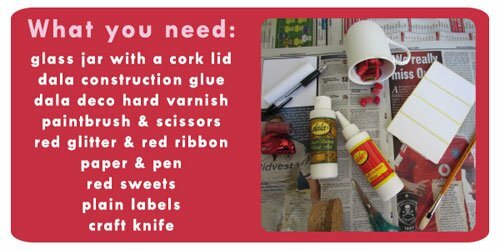 When you are done writing, roll each of the pieces up as tightly as you can (end of a paintbrush helps with this) and secure with red ribbon. 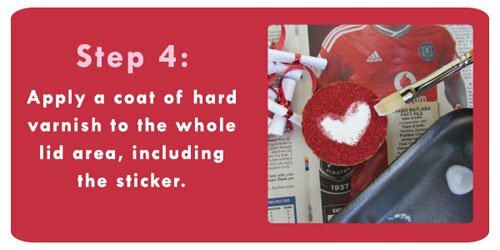 The glue and glitter should be completely dry by now and you can give it a coat of Hard Varnish. 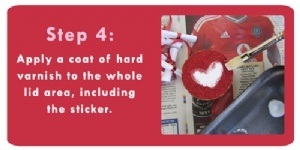 Apply a thin, even coat with the brush, applying it over the heart sticker shape. This should take about 25 mins. Once the varnish is dry use the craft knife to 'score' the sticker from the varnish seal. 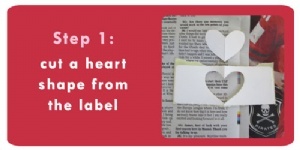 Carefully lift and remove it to expose the cork heart shape. 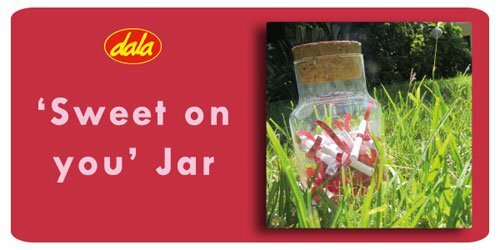 Add your sweets to the jar first, and then the tiny scrolls. Leave it in a special place for your Valentine to find. This item has 709 views.